A woman is in the hospital after police say she was attacked by her pet pit bull at her home on the 4200 block of Ogden Street in West Philadelphia on Wednesday. The woman's pit bull had just given birth to several puppies. Police say the woman was trying to move the puppies inside the home shortly before 5:30 p.m. when the mother pit bull attacked her, biting her on her arms and chest. The woman's family called police and two officers arrived at the house. The officers fired eight shots at the dog before finally killing the animal. 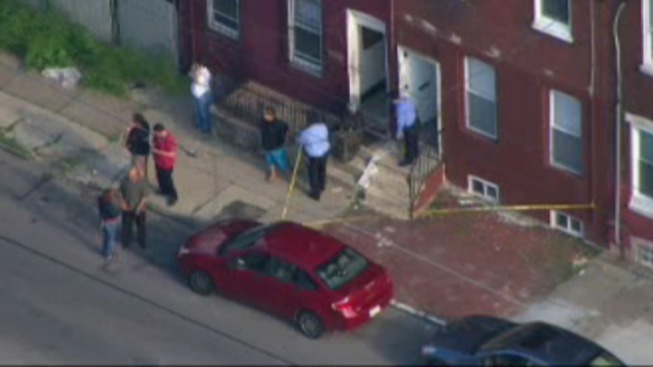 The woman was taken to the Hospital of the University of Pennsylvania after suffering severe lacerations. She is expected to survive.